When you purchase a new Mercedes-Benz, you know you’re getting one of the world’s great luxury automobiles. Obviously, you’ll want to make sure you have it cleaned on a regular basis, and serviced by expert technicians, preferably at your Mercedes-Benz dealer in San Antonio, TX. But what about the tires? Your new Mercedes-Benz won’t operate at peak performance unless you have the perfect tires to do the job. Here are a few reasons why your dealership is the best source for tires. You don’t want to have to rely on so-called “experts” to outfit your car with the tires of their choice. Sure, any tire that fits will technically do the job, but that’s not what you want. You need a tire that meets a far higher standard than just any car. 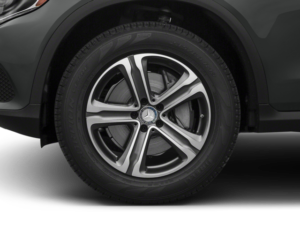 You want a tire that will provide the performance and ride you expect out of your Mercedes-Benz. An optimum tire will provide better performance as well as fuel efficiency and safety, so choosing a tire shouldn’t be taken lightly. As with the cars themselves, just because they’re some of the best tires on the market doesn’t mean they’re expensive. 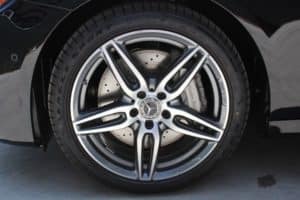 In fact, your Mercedes-Benz dealership in San Antonio, TX, can provide you with tires perfectly suited to your Mercedes-Benz at competitive prices, so you won’t have to pay more for quality. Everyone working with Mercedes-Benz must meet the highest, most rigorous standards in the industry. The same goes with tire installation. The life of your tires can depend on the installation, so why take a chance with auto mechanics who don’t get the Mercedes-Benz seal of approval? When you have your tires installed at your dealership, you know you’re getting the highest quality service possible. When you go to a local tire salon you might find on the internet, there’s no telling what types of tires they’ll have on hand. Mercedes-Benz dealerships have access to the most reliable and highest performing tires in the industry. Whether you want Pirelli tires, or Dunlop, Michelin tires, or Continental, you’ll never have to worry about a brand of tire being unavailable. Every tire company in the world has a relationship with Mercedes-Benz, so your needs will always be met. Mercedes-Benz automobiles are renowned for their warranties, and the same goes for their tire service. Wherever eligible, tires sold through Mercedes-Benz dealerships have road hazard coverage, so you’re always protected against damage to your tires. From the purchase of your new or used car, to the tires you’ll need to put on it, Mercedes-Benz dealerships in San Antonio, TX, pride themselves on their service and attention to detail. 0 comment(s) so far on Why Buy Tires from Mercedes-Benz Of San Antonio?